Sharing your faith doens’t have to be weird. In fact it shouldn’t be! You don’t need to be a qualified “evangelist”, or go to Bible College, or have been following Jesus for decades. All of us are called to share the good news of Jesus Christ. This page should hopefully encourage and challenge you to do just that. It's a lot easier than you think to share the Good News with other people that God has placed in your life. You can start sharing your faith with others today. Here are seven of the most overlooked ways to share your faith with others. 1. Casually mention that you are a Christian who goes to church. Simply being open and honest with others about who you are will instantly open the doorway for future conversations with them. Be yourself. 2. Ask questions about what your friends, coworkers, and colleagues believe. By asking open and honest questions about what other people believe, you're getting the conversation started, and more opportunities to discuss the Christian faith will almost certainly come your way. Be sure to listen carefully and sympathetically to them, and seek to understand where they are coming from before interacting with them. 3. Invite a friend to ask you questions about your faith, and allow for them to raise their own objections to Christianity. Often we're so busy trying to figure out how to win others to Christ that we have never really stopped to think about the many objections and questions people might have about what we believe and why we believe it. Have you ever given your friends the opportunity to put you on the spot? By letting your own guard down, you may allow some really great conversations to begin, and you might even be able to share the gospel with them more clearly than you ever were able to before! 4. Ask a friend to go to a church service with you. This is the easiest way that I know of to share your faith because it only requires an invitation. After that, it's bringing a friend along for a show and tell that you didn't even have to prepare! A pastor preaches the sermon, and that itself will raise a host of questions and provide food for thought for you and your friend after the service. As a worst-case scenario, your friend will just say that they're too busy to join you or express that they're really not all that interested. You'll still be able to remain friends, and you didn't even embarrass yourself. 5. Share a personal struggle or problem that you've had, and show how the gospel helps you deal with that issue. Every one of us struggles to love an enemy, and I'll bet every one of us has been wronged by another human being. Tell your friend about a time that this has happened to you, or share with them about what you are currently going through, then mention to them that only the gospel allows for you to show forgiveness to those who are undeserving of it just as we are undeserving of the grace and forgiveness that God has shown to us. If you've dealt with great loss in your life (loss of a loved one, financial loss, or emotional loss), or you've had to deal with anxiety or depression, share with them how Christianity is a movement that acknowledges suffering, is all about a person (Jesus) who suffered for us and has promised to end all suffering. There are so many different ways you can do this, but hopefully, this gives you a pathway forward and helps to give you the courage to speak to others about your faith. 6. Buy a friend a book that is about Christianity, and offer to discuss the book with them over coffee or a meal. There are many books that can satisfy this need, and plenty of books come from different angles and can address the various interests of all of our friends. One of the books we recommend is Love Does by Bob Goff. It's a light and fun read that will inspire others with stories from Bob’s life and continually remind people that God loves us. Your friend may not read the book right away, but whenever they do get around to it, you can discuss some of the main points of the book. It may give you the opportunity to share your faith and invite them to church. 7. Actually share the gospel with one of your friends, family members, co-workers, or neighbors. It sounds silly for me to include this one on the list, but I've come across a lot of people who know many non-Christians, yet these non-Christians don't even know that they have a Christian friend! Part of this is because we want to be accepted by others so badly that we hide a part of ourselves from them in order to keep the friendship. But is that really a friendship if a major aspect of your life remains hidden? Be bold and share the gospel with people you know really well. They may just end up coming with you to church! It's a lot easier than you think. We're here to help you KNOW and SHARE what you believe and why you believe it! 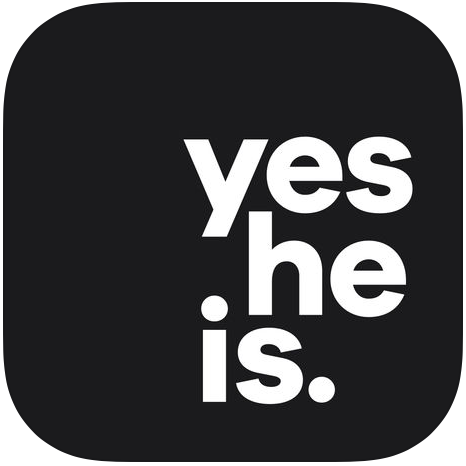 Another great resource that can help you share your faith is the yesHeis app.